When you talk to friends, neighbors or relatives about debt you’re liable to hear a lot of things that simply aren’t true. Conventional wisdom can be helpful but it’s best to not follow it blindly. For example, here are six myths about debt that simply aren’t true. Store-branded credit cards can be very enticing. You might be told that they are interest-free and have some nice rewards. But you’ll find they’re much less attractive if you carry a balance. For example, there are cards where you have some number of months to pay back your debt, interest free. However, you may find that if you don’t pay off the entire balance in that amount of time, you’ll have to pay interest on the entire amount you charged initially and it will be retroactive. And this interest often has a higher rate than a typical credit card. Many affluent families think they can’t get federal aid and simply don’t apply. So they get private loans instead. In the past few years up to 41% of families that earn $100,000 or more a year didn’t file a Free Application for Federal Student Aid or FAFSA that’s required to get a federal loan. However, many of these families could get federal loans as some of them have no limits on income. It’s good to check into this first because private loans usually have higher interest rates than federal loans. Many people think that once they have a legally binding divorce decree it changes their agreements with lenders. They will think that “I’m divorced, why do I still have joint debt?” The problem is that a divorce decree does not change your agreements with your creditors. 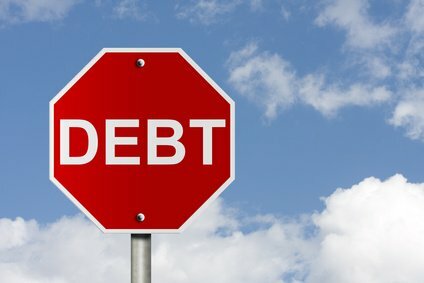 If this happens to you, you should call your lender to see if the joint debt can be transferred to the name of only one ex-spouse. In some cases, the lender might compel you to close the joint account and move the balance on that debt to a new one held by just one of you. In other cases, one of the ex-spouses may have to refinance the mortgage or get another loan based on his or her credit standing. If you have good credit, you’re probably getting bombarded with offers for credit cards that come with nice rewards such as cash back and airline points. These can look very attractive. However, it pays to be careful because they often have higher interest rates than those cards that don’t include rewards. For example, low-cost cards usually have interest rates of around 11%. In comparison, the typical higher-end rewards card such as the Visa Black Card has a rate of around 15%. In addition, these cards often charge annual fees. You may know your one credit score such as your FICO score or VantageScore. But FICO has 60 somewhat different variations of its score. A potential creditor might pull a score based on the type of credit for which you’re applying. This means it may be seeing a different credit score than what you’re seeing. And there’s no easy way for you to know whether this score is better or worse than the one you see. Unless you’re really late, a late payment will not put a real dent in your credit. In fact, it probably won’t show up in your credit report at all. This is because companies often don’t report a payment that’s late to the credit-reporting bureaus until it’s 30 days past due. Plus, it requires time for other types of late payments to hit your credit report. As an example of this, a medical bill usually won’t hit your credit report until it goes to collection.